We are familiar with atmospheric phenomena like sundogs, light pillars, and other kinds of halos seen in the sky. They’re actually caused by the sun, very high in the sky, shining through a particular type of ice cloud formation. But lately other phenomena have been observed that are difficult to explain, strange cloud formations, square and rectangular clouds, mysterious glows in the night skies, roll clouds from horizon to horizon, rays of light, straight lines that seem to split the sky, etc. It makes us wonder whether all these unnatural-looking sky phenomena are still natural or the result of geo-engineering, weather manipulation. 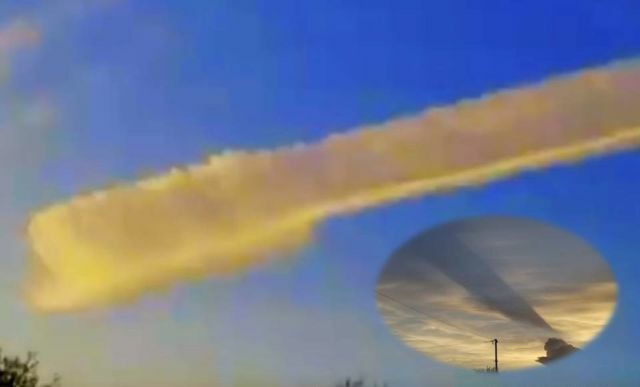 The following video shows some these strange unnatural-looking sky phenomena captured in the last few days.